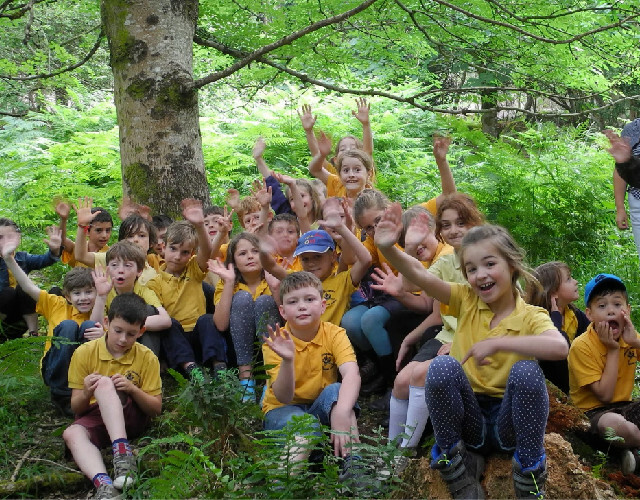 A Touch of the Wild supports local schools, groups and families by providing fantastic and exciting cross-curriculum outdoor learning activities that support the Government’s ‘Learning Outside the Classroom’ Manifesto using Forest School principles. What do we get up to at Forest School? A programme is normally planned that includes a minimum of 6 sessions per group. However longer, ongoing programmes that become integral to the learning environment are more beneficial. Sessions typically last between 2 and 4 hours and include a range of activities such as. This is not a fully inclusive list and all activities can be linked to the National Curriculum. Note: Often a session plan will evolve to include real life encounters and experiences. As the sessions include child-initiated / participant-led learning, the plans need to be flexible. It is important that the facilitator or practitioner provides the optimised learning opportunities using a level of judgement for each session. For example, it is not often that a deer will trot through the wood within easy eyesight of the group. This would be (and has been!) an excellent opportunity to extend the session plan to encompass more (unplanned) inspirational learning opportunities. Real life experiences (and learning) that stay with the individuals throughout their lives. 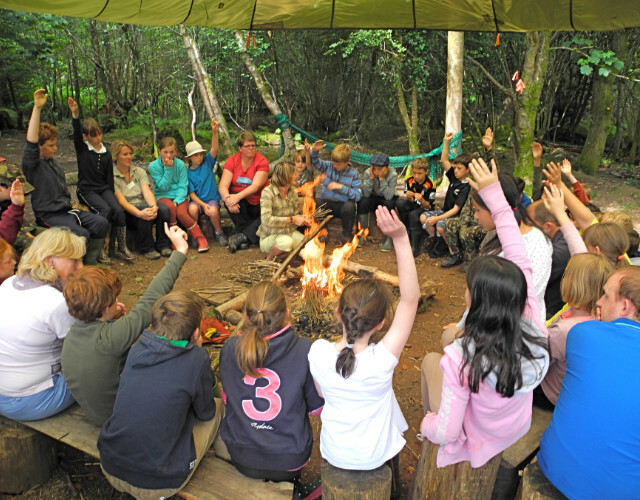 Outdoor learning sessions are provided in our woodland, at schools or other locations. Some Forest School sites have been setup in private woodlands within walking distance of the school. The sessions are developed and documented with each teacher to ensure the correct content for the educational stage and planned outcomes. All sessions are risk assessed to minimise potential known risks as the participants’ safety is of the highest importance. We aim to provide activities that maintain the attention and interest of all participants. We also make all reasonable efforts to be inclusive to permit all participants to join in the outdoor activities. British Forest Schools have been developed and adapted from the original concept implemented in Sweden in the 1950’s and developed throughout other Scandinavian and European Countries. The Forest Schools concept established in Denmark for pre-school children (under seven years) in the 1980’s stemmed from their småbørnspædagogik or Early Years Education and, in the mid 1990’s was visited by nursery nurses from Somerset and independently by representatives from other early year’s professionals from the UK. Denmark has a similar climate to ours in the UK and it is becoming increasingly recognised that this ‘outdoor’ approach to play and learning can have a huge impact on the normal development of children. A 13 month long study carried out in Sweden on children from similar backgrounds found that children attending forest school kindergartens in the countryside environment are far happier than children in kindergartens located in the urban environment. The study concluded that children in the forest school are more balanced with greater socially capability, they have fewer days off sick; are more able to concentrate and have better co-ordination than the city kindergarten children. The result showed the children attending the forest school to be markedly better at concentrating than the city Kindergarten children. It appeared that the principle reason was due to the greater range of opportunities present for play in nature, children played for longer at a time, with less annoyance or interruption of each other compared to the children in the city kindergarten. The study observed that when children in the city kindergarten were interrupted, they became irritable, their stress levels rose significantly, and their ability to concentrate fell. When they could not concentrate there was a clear tendency to selfish and inconsiderate behaviour and aggression. The forest school children were much more considerate towards each other. The study also showed that the forest school children had 25% fewer sick days than the city children. One reason for this is that the air is nearly always better outside than indoors because outside a child is less likely to be exposed to virus and bacteria and not so likely to be infected by other children. Another reason may be that, since stress has been shown to have a negative effect on the immune system, high stress levels may be having a weakening effect on the ability for the city children to resist infection. 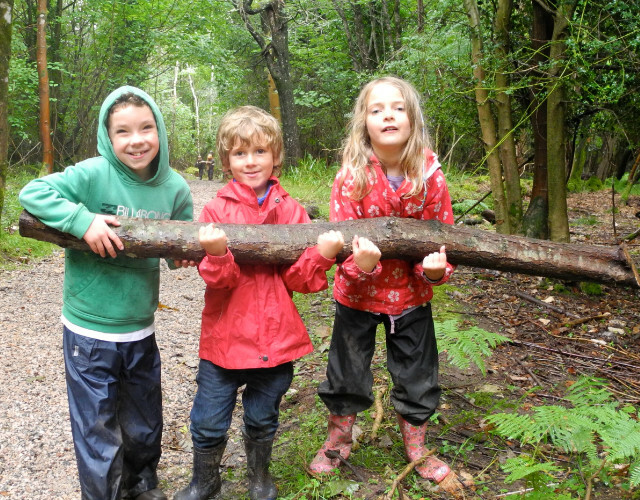 The forest school children, on the other hand are in a pleasant, natural, fun and less stressful environment. As a consequence of this, children attending Forest School kindergartens were arriving at school with stronger social skills, greater ability to work in groups, and generally children had high self-esteem and confidence in their own capabilities. All these attributes proved to be an effective foundation that raised academic achievements. 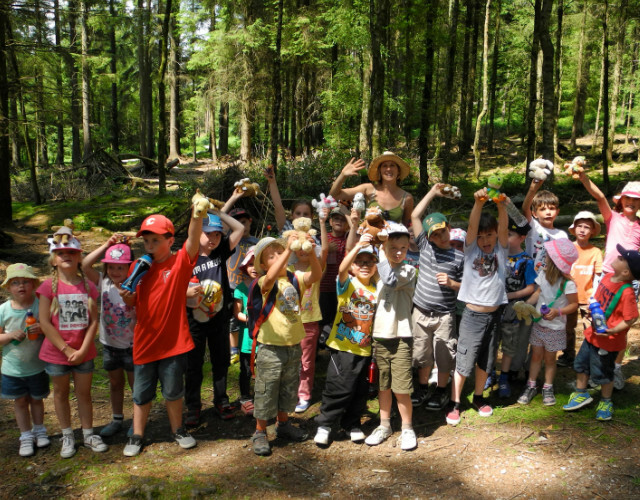 Since its introduction Forest Schools has developed opportunities in an outdoor setting for children and adults of all ages to develop a variety of life skills: altruism, independence, self awareness and social communication skills, all of which assist individuals to grow in self-esteem and confidence. Participants gain confidence in their own ability. 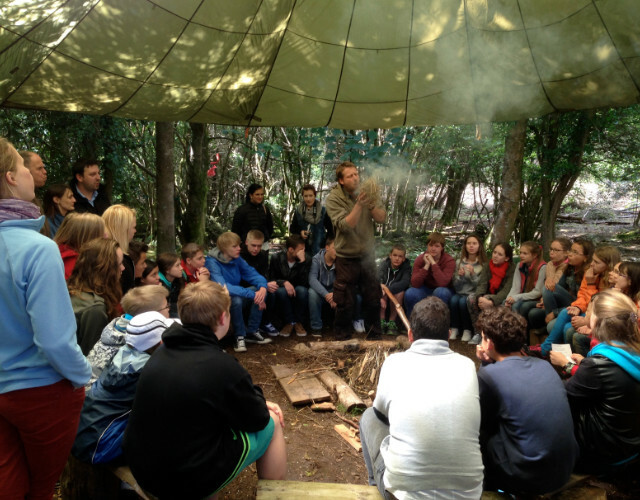 Kinaesthetic learners [learning by doing] are particularly suited to learning in this woodland outdoor environment. (Information referenced from an external website:www.WaterproofWorld.co.uk) Download the British Government’s Department for Education (DfE) manifesto for “Learning Outside the Classroom” and the National Curriculum Stages.